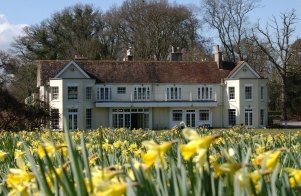 A very warm welcome awaits your visit to this lovely 18th century Manor House hotel set in 8 acres of beautifully peaceful grounds on the edge of the New Forest. 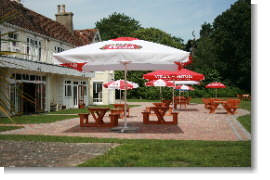 Tyrrells Ford Country Inn & hotel is situated in the Avon valley in Hampshire only four miles from the market town of Ringwood, the same distance from Christchurch with its lovely harbour and just nine miles from Bournemouth's beautiful beaches. 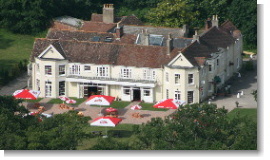 We are also just 3.5 miles from Bournemouth International Airport, so why not make a stop over with us part of your holiday plans when travelling? 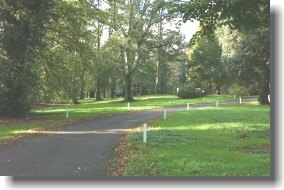 As you come along the sweeping driveway to the Tyrrells Ford Country Inn you will see the charming manor house hotel and begin to understand why it is so popular with locals and visitors alike. 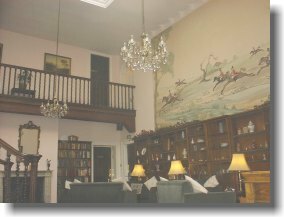 Upon entering the reception area you will have a view into the Minstrels' Gallery lounge and begin to feel the atmosphere and history associated with this lovely building. 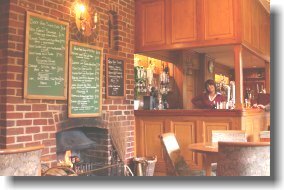 On the left you will discover the comfortable bar where you can relax with the locals and enjoy a selection of traditional ales, cider and lager, or choose from a huge selection of wines and spirits. Food is also served in the bar and you can choose from a daily menu shown on a blackboard, or simply have a light snack. 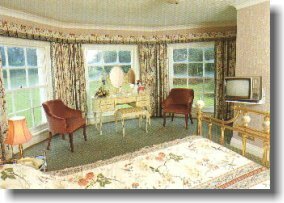 The 14 Bedrooms are all en suite, have been individually decorated with charm, elegance and fully equipped with all facilities required by today's discerning hotel guest. 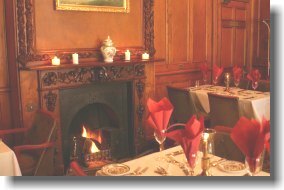 Our candlelit restaurant offers traditional English breakfast, luncheon and dinner from the a la carte and table d'hôte menus, which are carefully prepared by our award-winning chef and complemented by an extensive wine list. Our helpful and attentive staff will make your stay with us something to remember forever. Free Wireless Internet access is available for those who need to stay in touch with office. Pay us a visit and feel the history of Tyrrells Ford for yourself. Drop in for a drink or enjoy a meal prepared by our award winning chef. Our friendly staff will afford you a warm welcome every time you call.